Following the company objective of international expansion, the 2nd Yearly Global Distributor Conference was held in Chongqing. The Jiangxiaobai distribution partners flown in from parts of the world as different as Nigeria, Myanmar, Italy, UK and so on. Twice a year all Jiangxiaobai partners are invited for sharing their experience, for problem-oriented idea exchange and formal training in company culture and brand philosophy or even more tedious subjects like sales management. Thereby giving the international partners very clear guidelines and support in the challenges of the market, Jiangxiaobai intends to form a strong and capable team of well-prepared veterans. 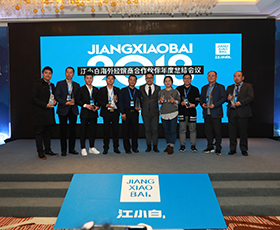 This year, six awards for distribution accomplishments in the categories market development, team, sales growth, channel expansion, customer maintenance and overall accomplishments were conferred on distributors from the Philippines, UK, Lao, Macau and etc. 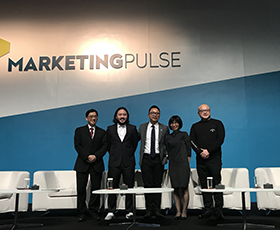 In the conference, International Business Department director Zoe Fu Presented the strategy of ‘flying close to the ground’. Ground refers to market, he emphasized that Jiangxiangbai will always stick to the market, meanwhile, running fast like a sports car. Zoe Fu pointed out that jiangxiaobai, in the overseas market, will ensure its original aspiration, team-building, operation management, marketing promotion and planning adhere to local market. He holds 100% confidence and positive expectation for 2019. Being presented with and immersed in the youth-oriented and fresh culture of the brand, the partners often become convinced brand ambassadors in their own right. Lucas Zhao, also active in the German market, points out that the efforts undertaken in accordance with Jiangxiaobai’s flavor strategy massively help with the popularization of the liquor. Approximation to a more global taste has been one of the brand’s key concepts, a sensibility that is often not shared by market competitors. By adhering to a set target audience’s preferences, bigger openings can be created for a more natural development. What sounds like compromise really is an expressly enthusiastic wish for sharing a unique culture. It was in 2016, that a batch of 21 tons of Chongqing sorghum spirits passed inspection and were exported to South Korea. This marked Jiangxiaobai’s first overseas shipment. At the end of 2018, Jiangxiaobai had entered 27 countries and regions in Asia, Europe, the Americas and Oceania. Even though the rapid expansion might send a different signal, Jiangxiaobai is very much in it for the long run. Comprehensive understanding of the brand culture and slow, stable regional development with respect for the local markets are key requirements for Jiangxiaobai’s distribution partners. After the distributor conference it’s safe to say that Jiangxiaobai has advanced one more step towards their goal of internationalization. 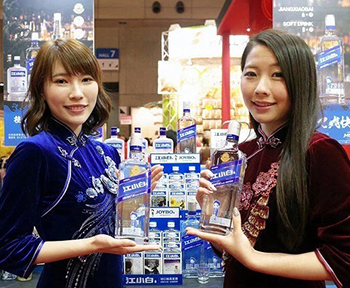 By bringing the very holders of a successful future together, the baijiu brand is hoping to have set another example for the type of global cooperation it so coherently seeks. In this spirit (no pun intended) Jiangxiaobai wants to express sincere thanks to everyone involved in the exciting journey it has been so far.